In a drive to develop Electric RTP model flying you may find the following newsletter of interest to you. If you do not wish to receive quarterly newsletters please unsubscribe by using the link at the bottom of this page. At present RTP model plans are undergoing updating. The old hand drawn plans are being replaced with CAD plans, this means model plans can be enlarged for different sized motors. The first to undergo this was the Bristol M1, an excellent little flyer for the wren motor. Originally with a 310mm wingspan it is now enlarged to 372mm wingspan for the Sparrow motor and is still an excellent flyer. The new model comes with a simplified undercarriage, the plans have the additional detail for the original undercarriage. The Bristol M1 did not have a flying partner, so a new model has also been added in both 310mm and 372mm wingspan for the two motors and yes it has very similar flying characteristics as the Bristol M1. Many of the models with a sliding tailplane for elevator adjustment will also be offered with fixed tailplanes with adjustable elevators. New models and plans already on the drawing board (computer), are the Sopwith Triplane, Sopwith Pup, Pitts Special and PBY Catalina. Once again I travelled to Impington Village College Model Aeroplane Club indoor flying event on Sunday 20th March 2016. An excellent day of indoor model flying, with an exhibition, seminars, free flight in the large gym, and RTP and radio control in the small gym. Already looking forward to my trip to Cambridge in the Autumn. More details of IVCMAC can be found on their website. With the use of a table in the flying circuit and the ground wire across the table top, all the elements for some excellent entertainment are ready. The addition of an Ikea type bag at the front of the deck can save model damage! 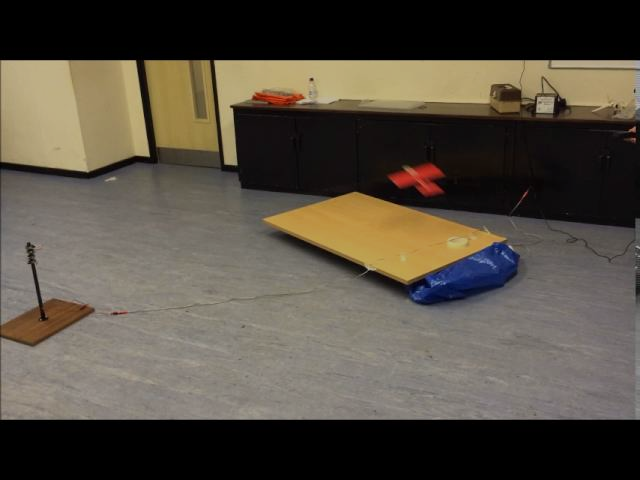 This simple setup entertains a group for an evening and improves their flying skills. 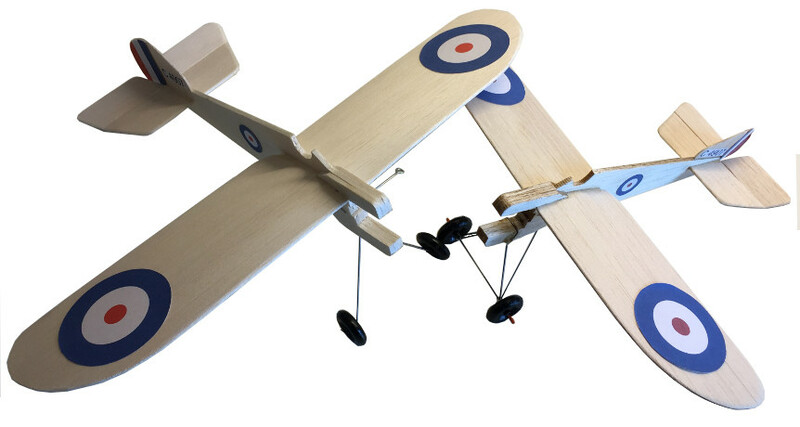 Luckily, using a combat card model for the flying means there are not several balsa models to repair. Now plans are being made for a more realistic system maybe with an elasticated arrestor wire and tail mounted arrestor hook. Has anybody else got a carrier deck setup working? Many years ago a cadet made a wooden carrier deck and added Christmas tree lights and LED navigation lights on the model. Switch off the room lights for a bit of night flying and carrier deck landings. Copyright © 2016 The RTP Hut, All rights reserved.